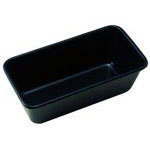 A range of loaf tin or pans for making either 1lb, 2lb or mini cake loaves made from either metal or silicone. 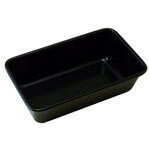 We also stock range of silicone bakeware deisgned by Zeal for home and professional bakers. Made from the highest quality silicone this line of non stick bakeware is heat resistant to 600ºf/315ºc and will not absorb colours or flavours. Being made from silicone makes them flexible which allows easy removal of cakes / pies / tarts when cool plus microwave, oven, freezer and dishwasher safe. Click here to view the full range of Zeal Silicone Bakeware.